The “Mighty Mo”, originally uploaded by Eric Jeschke. 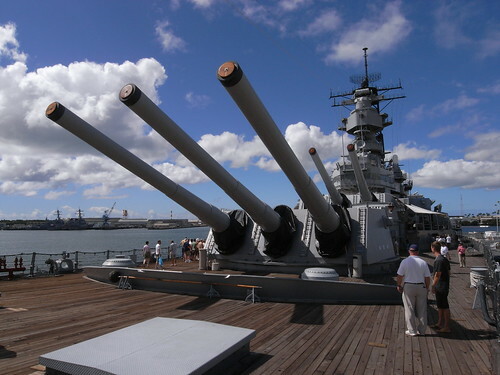 “Missouri’s main battery consisted of nine 16 inch (406 mm)/50 caliber Mark 7 naval guns, which could fire 2,700 lb armor piercing shells some 24 nautical miles (44 km). ” (source Wikipedia). A very interesting ship to tour.